I haven’t seen this in ages! I thought it had just gone out of fashion. 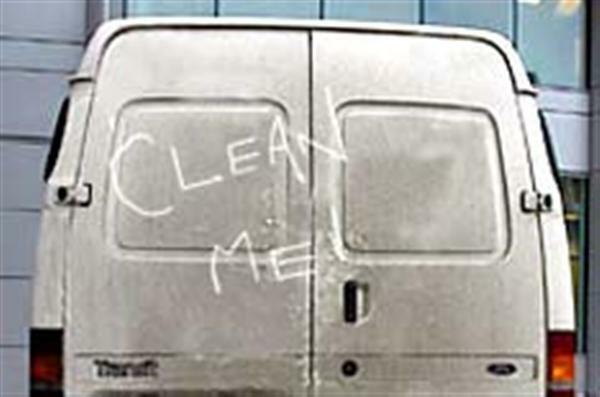 Perhaps vans are just cleaner these days. Although the medium is the same, the message is very different here. 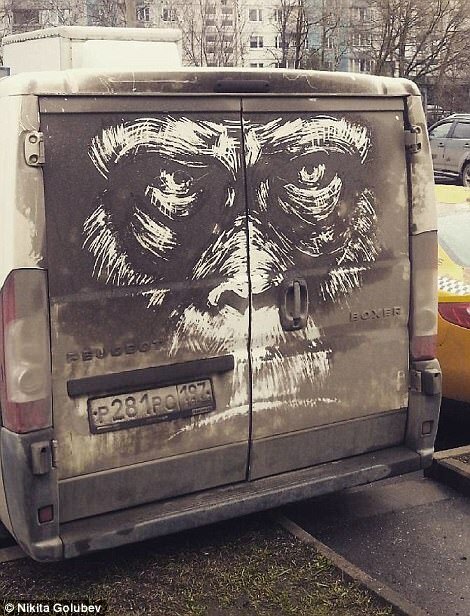 In the case of the gorilla, the work is attributed and presents a different message. It reminds me of the debate around graffiti art that raged in the 80s. Is it art? Should it be removed? When Banksy emerged from this movement and started using stencilling, the debate flared up again. In many cities now graffiti art is sanctioned, licensed, regulated and funded as part of civil life. Barcelona and Berlin come to mind. Small acts of ‘vandalism’ can occur in software engineering too. If lots of people work on a single code base, it is in the interests of the business to keep things as consistent as possible. But developers don’t always like this. We want to express ourselves. So sometimes we rebel a bit and go against the prevailing doctrine. We like to sneak in a different approach or a unusual pattern. I don’t necessarily see this as a problem. It’s less like Alan Partridge’s car and more like the ‘clean me’ phenomenon. It’s temporary and reversible if it’s really causing a problem. After all, we’re paid to be creative. However, we should aim to make these contributions more like that gorilla and less like a passive aggressive message scrawled opportunistically in passing. After all, as Banksy has shown, what starts out as an ‘eyesore’ can be transformed into a valuable work of high art, purely through the act of influencing others. I want your confessions! What acts of deliberate ‘code vandalism’ have you committed? I’ll share any confessions I get (anonymously).